With a name evocative of its exotic mystique, Shanghai is a magnificent holiday destination. The city's incredible architectural heritage is plain for all to see from its soaring skyscrapers to its Jesuit cathedrals. Whether you're enjoying the city's sumptuous cuisine, taking in an acrobatic show or sampling the city's roaring nightlife, Shanghai is an immersive traveller experience. Our selection of the best places to stay in Shanghai offers a mix of luxury, charm and local culture. Shanghai's old town is home to atmospheric Yùyuán Gardens and Bazaar that brims with organic charm. The spring and summer blossoms bless the gardens with magnificent floral aromas. For art lovers, don't miss out on the contemporary M50 art complex. Showcasing a mix of leading lights and up-and-coming artists, it's perfect for an afternoon of browsing. The Jade Buddha Temple is one of the city's finest examples of Buddhist architecture. The Bund was China's answer to Wall Street and is home to a glorious selection of art-deco and neoclassical buildings. It's the perfect place for a morning stroll. For those not queasy about heights, a trip to the Shanghai tower is well worth a visit. It is China's tallest building and second tallest in the world, so a trip to the observation point on the 118th floor is not for the faint of heart. Shanghai is a city that is continually moving and any trip there is going to be one full of energy. Our selection of the best places to stay in Shanghai harness the city's electric energy to great effect. With a wonderfully central location and glorious levels of luxury, The PuLi Hotel & Spa is a superb hotel. 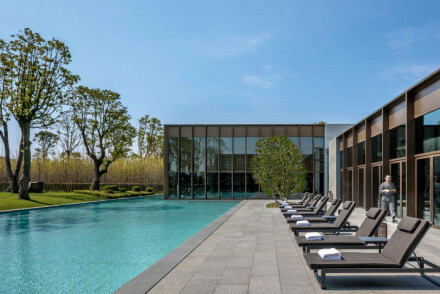 Escape the hustle and bustle of downtown Shanghai to this urban oasis. With one of the finest spa's in the city, it's the perfect place to relax after a busy day of exploring. Occupy the top 29 floors of the Jing An skyscraper, Jing An Shangri La is perfect for those looking for a room with a view. Boasting all the modern luxuries you could ask for, this hotel offers a superb blend of Chinese culture and western hospitality. Recalling the glory days of Shanghai, The Peninsula Shanghai is an imperious establishment. With everything from private yachts to a fleet of vintage cars, the hotel spares no expense for its guests. An unforgettable place to stay. The Amanyangyun is an Aman offering originally Ming and Qing Dynasty villas. Decorated in a traditional style, and embellished with modern luxuries. The facilitates go beyond the normal, from private bathhouses to Italian restaurants. Fairmont Peace Hotel on the Bund is China's most iconic art-deco building. Offering a heavenly blend of imperial charm and artistic splendour, this hotel takes you back to halcyon days of 1930s Shanghai. Full of magnificent things, enjoy an evening at the hotel's famous piano bar and be spoilt for choice with the hotel's six superb restaurants. 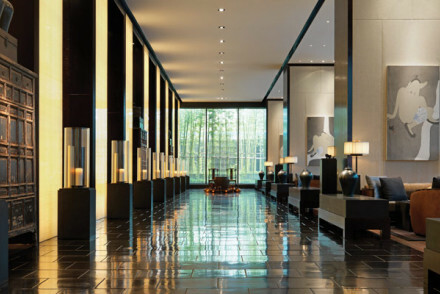 The Langham with its central location and stylish interiors, is perfect for a weekend trip to Shanghai. But the real reason to visit this excellent hotel is for its divine Cantonese restaurant: T'ang Court. The recipient of three Michelin stars, it's one of the world's finest purveyors of Cantonese food. A luxury spot, Les Suites Orient boasts a fashionable setting, on-point design and guests are even provided with their own dining room for the ultimate in decadent service. The Waterhouse at South Bund embodies a stylish, contemporary aesthetic. Designed by the city's in vogue Neri and Hu, this former concrete dockhouse has been transformed into a boutique delight. Stunning rooms are adorned with artwork by Tracey Emin and Arne Jacobsen and its restaurant is amongst the finest you'll find in Shanghai. A stellar option. For those looking for some additional privacy, we recommend you visit our online partner Booking.com. For international travellers, Shanghai is largely serviced by Pudong International Airport. For those interested in hiring a car, we recommend visiting our online partner Rentalcars. Skip the hoards of summer crowds and visit Shanghai from October to November for comfortable temperatures and beautiful autumn scenery. Browse through our list of the best places to stay in Shanghai. Widen your search to our selection of the best places to stay in China. Or if you'd like some personal travel advice, contact one of our friendly gurus. A smart hotel towering over the fashionable Bund area. Spacious suites benefit from floor to ceiling windows, fabulous views and contemporary Chinese design. Dine in style in your own private dining room or sip on a cocktail in the lounge. A spoiling stay. 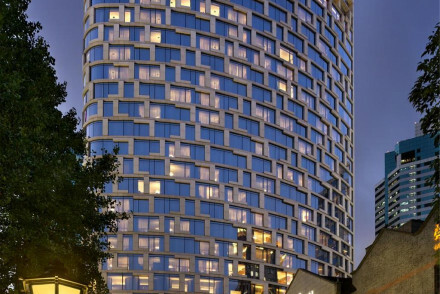 City Style - With fabulous city views and chic suites this is the perfect city crash pad. Sights nearby - Visit the famous Buddhist shrine, Jade Buddha Temple. Great walks - Take a stroll through the picturesque Yuyuan Garden. 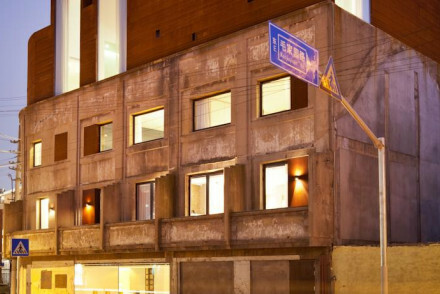 An industrial chic design hotel on the banks of the Huangpu river, with views of futuristic Pudong from its rooftop bar, the Waterhouse at South Bund is at once historic and modern, rough and luxe. Without doubt, the trendiest hotel in Shanghai. Sights nearby - The Old Wharf and Yu Garden are both under five minutes walk. Great walks - Shanghai's Artificial Beach is just a two minute walk away. Local markets - Huaihai Road is one of the city's major shopping areas. Restrictions on children - Children not permitted. Edgy contemporary luxury in the heart of Shanghai. Just off the busy West Nanjing Road it offers a haven of sleek design accompanied by a top notch spa, great bar and all the hi-tech gadgetry you'd expect from a hotel of this class. A cool base for exploring downtown Shanghai. 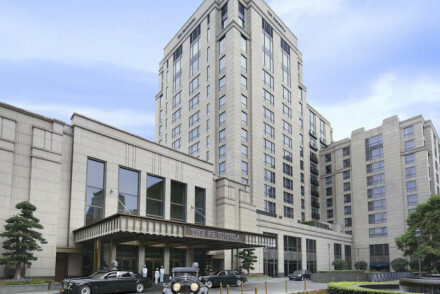 Located in Xintiandi, Shanghai's lifestyle and entertainment hub, The Langham boasts upmarket contemporary rooms with dark wood interiors and large windows. Several superb on site dining options and retail haven Huaihai Road is right on your doorstep A top-notch city spot! Foodies - T'ang Court is a fabulous Cantonese restaurant with three Michelin stars! Arguably China’s most historic property, the luxurious and legendary Fairmont Peace Hotel is an Art Deco masterpiece on the Bund promenade. Rooms are a sumptuous blend of colonial splendour and oriental charm. Enjoy views of Shanghai’s Luijiazui skyline and dine in some of its best restaurants. A modern, luxurious hotel on the top 29 floors of a Jing An skyscraper, the Jing An Shangri La is perfectly primed for one of China’s favourite new hobbies – designer shopping. Rooms also enjoy spectacular, panoramic views of the city, so high up that they afford you a genuine sense of escapism. Great walks - Explore The Bund for water walk ways with stunning views. Sights nearby - Head up the landmark Oriental Pearl Tower. 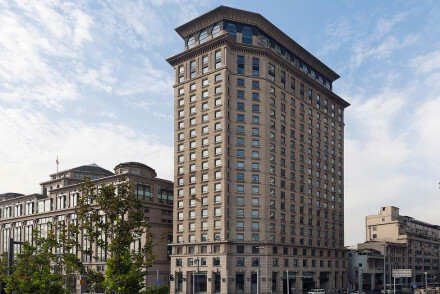 Unparalleled grandeur and classic luxury at the Peninsula’s flagship in Mainland China that recalls Shanghai’s heyday as the ‘Paris of the East’. 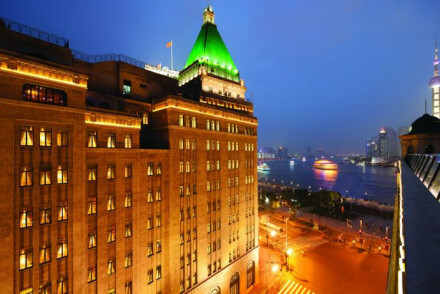 The hotel’s historic Bund-side location – opposite the futuristic lights of Lujiazui – sees it caught between two worlds. 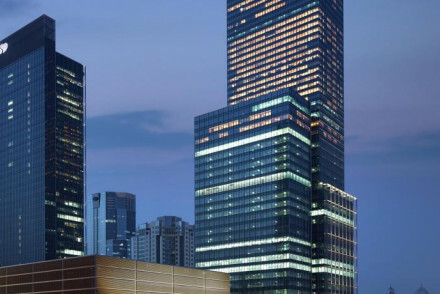 Sights nearby - Constructed in 1997, Shanghai World Financial Centre offers spectacular views and fine dining. Views - City and River. Ming & Qing Dynasty villas, turned luxury Aman hotel, surrounded by ancient forest bordering Qizhong Forest Park. The extraordinary villas are decorated in traditional style, and embellished with modern luxuries. The facilitates go beyond the normal, from private bathhouses to Italian restaurants.